I'm so excited to finally get to play with one of Eileen Hull's newest releases from Sizzix... the Book & Pages, Trinket Box, & Frame. It is 3 dies in 1! It makes a mini book (including pages) and a 3-dimensional trinket box, and frame. But really can do so much more!! 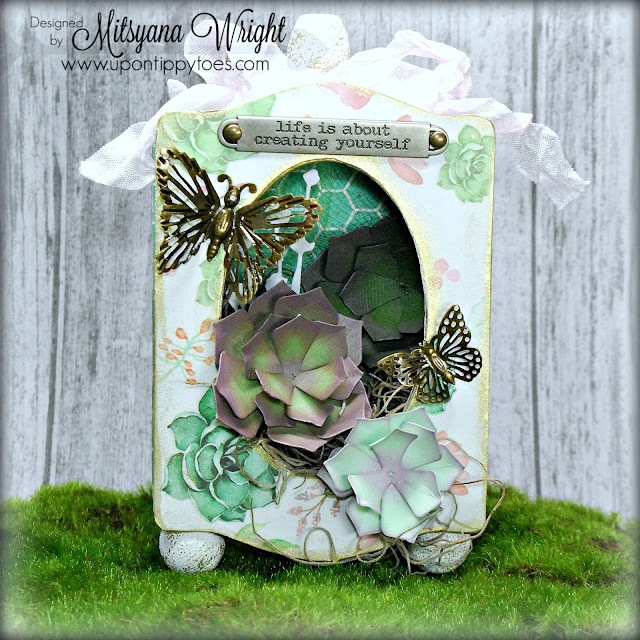 For my project, I transformed the box and frame components into a shadowbox vignette! Like most of my Eileen Hull projects, I start by cutting my materials down to a di-cuttable size. Usually about 6"x 12". 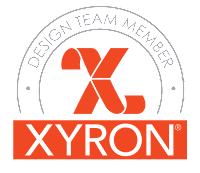 Then I run my papers through my Xyron Creative Station and adhere them to the matboard. 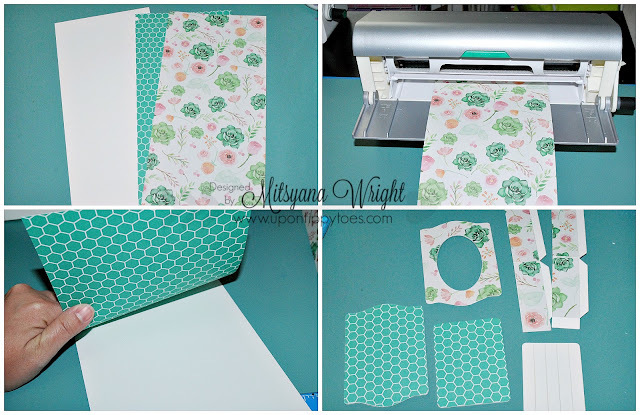 Making sure to apply my patterned paper to both sides. Once the matboard is covered, I die cut it face down (the pattern I want on the top of the cover should be touching/making contact with the foam and blade). And presto, double-sided matboard cutouts! I creased and folded the tabs and flaps of the 2 side panels. I used mixed media glue to adhere the little tabs to the other panel to form the sides of the box. I added more mixed media glue to the under flaps and attached the ornately shaped back panel. Once that was secured in place I added more glue to the inner flaps and attached the back plate onto the inside of the box. Then I set it aside to dry. 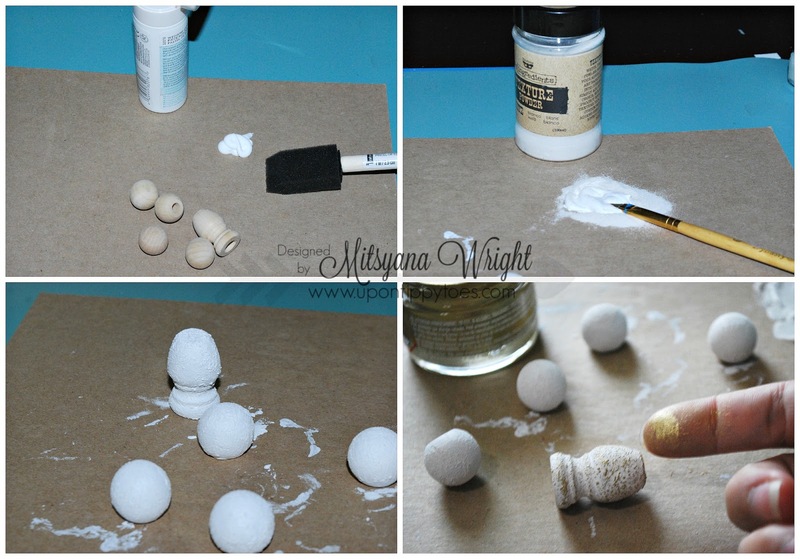 While I was waiting for my glue to set, I mixed white acrylic paint with texture powder and applied the mixture onto wooden ball pulls and a wooden finial. After the paint dried, I applied gilding wax over the raised texture areas. 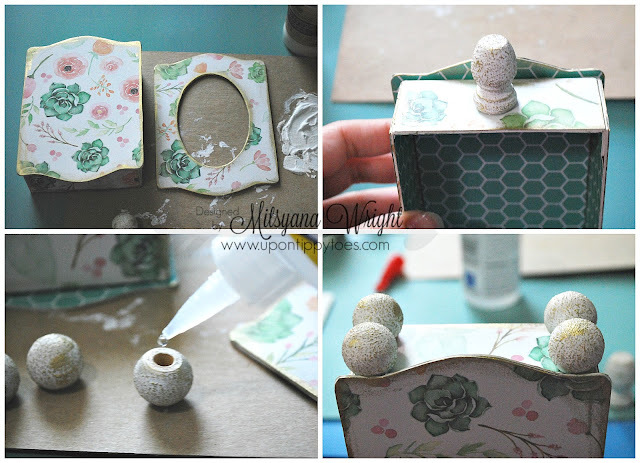 Then used more mixed media glue to adhere the 4 ball pulls to the bottom of the box for feet. Once dried, I attached the wooden finial to the top center. I attached moss to the inside bottom of the box with, yet again, more mixed media glue. 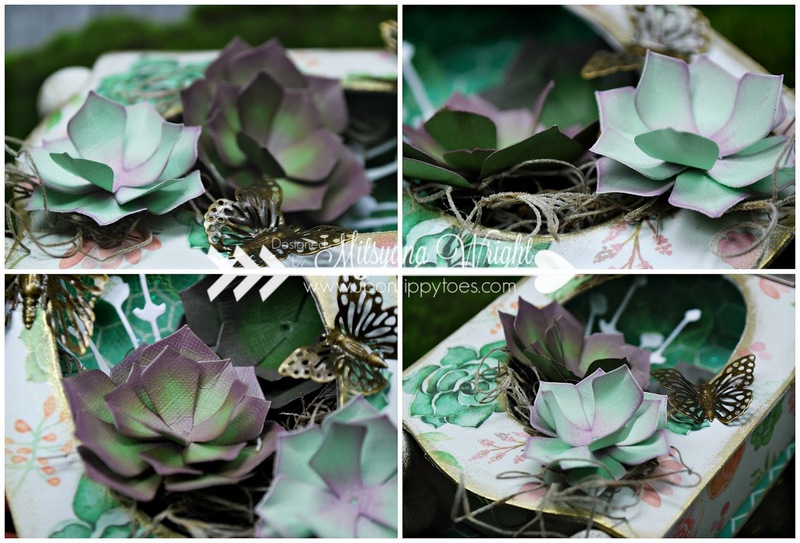 While the glue was setting I die-cut assorted shades of green cardstock using Lynda Kanase's Succulents dies. I shaded all the edges with Purple Hydrangea chalk ink before piecing them together to form my succulents. 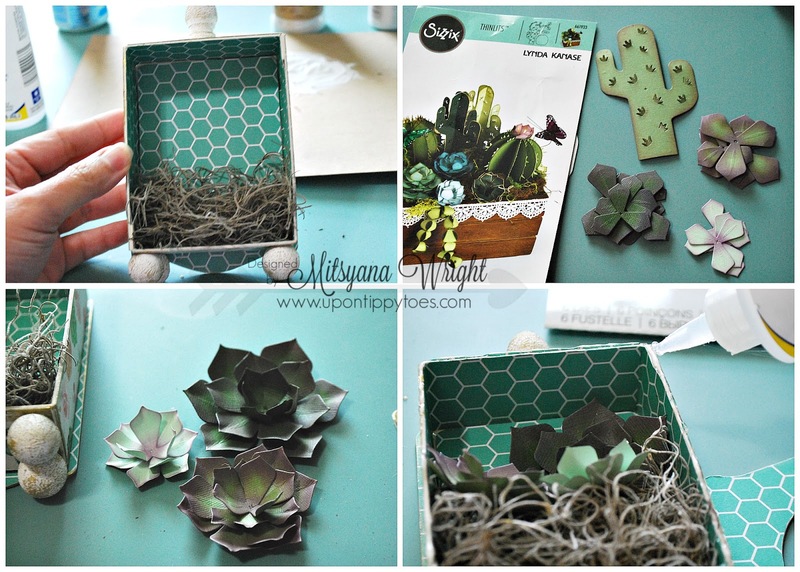 Then, glued my succulents to the inside of my box. 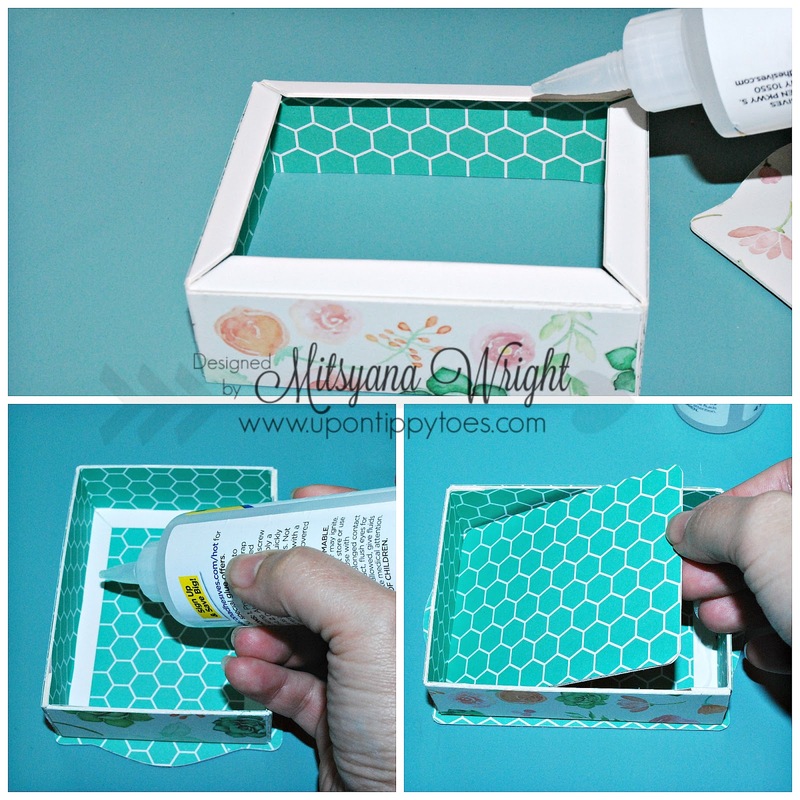 I ran glue along the edge of the box and attached the frame piece over top to create a shadow box. Once the glue was totally set, I added metal embellishments. 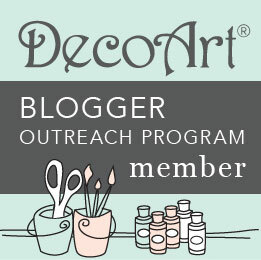 I love this inspiring phrase on the Tim Holtz Word Band and centered it over top. Then positioned a couple of Prima Metal Butterflies surrounding the oval opening. 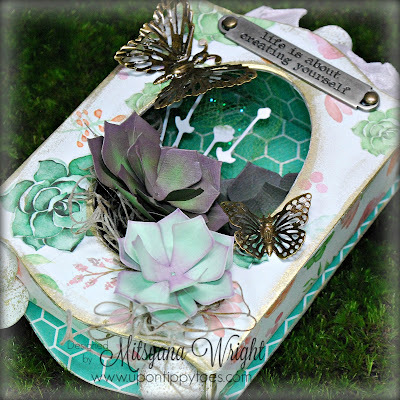 I added a couple of wildflower cut-outs I die cut from white cardstock using Tim Holtz's Wildflowers dies and positioned them behind the succulents. Then for a bit of interest and more texture and added a little piece of glitter tulle into the arrangement. I wanted the succulents to look like they grew out of the box, so I pulled the moss and succulents partially out of the box and had them "trail" out. Then lastly I tied a bow made from crinkle ribbon to the wooden finial at the top. I really love how this project turned out! There's something about all the different hues of greens that make me feel so tranquil when I look at it. 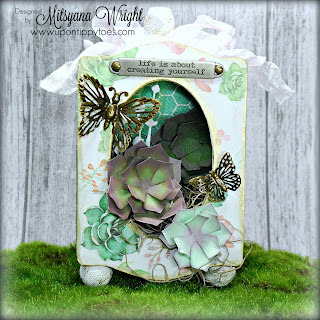 I hope you enjoyed this tutorial and are looking forward to more of Eileen Hull's new releases like I am! Stay tuned because I have more to come!